If you’ve read my last couple of posts, you’ll know that I’m running my own mobile library and I received a huge donation recently. Well, a week later, the numbers are in. It would have been more, but I shamelessly kept a few for myself. I usually donate them back to my library when I’m finished . The total ended up being 419 books, and that’s because that’s all we could fit in my car. Since January I have collected a total of 1,643 books. I only paid $70 for all of them because they are mostly donations. As of right now, I have 1,200 books available in my library. It took me a week, and I do mean a week, to process all these books. Every single moment of my free time involves the library. Sometimes I would log books for 8 hours a day. I would stay up until 1 AM and then wake up at 9 AM just to try to get it done. I posted a request for volunteers, but I didn’t get anyone to answer so I had to do everything myself. It was probably the biggest thing on my to-do list so far, and I’m glad to finally get it done. New Books Are Great, But Have You Tried Old Books? The best part is the kind of books I receive in the donation. 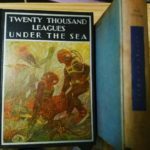 I received at least 6 first editions and several books from the 1920’s to the 1940’s. 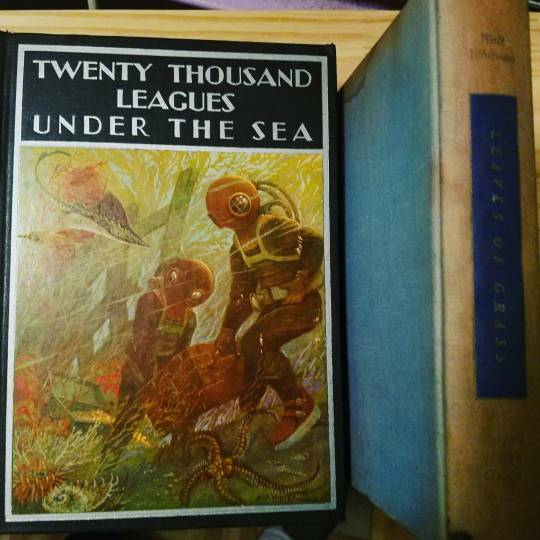 One of the best books I received was a 1937 edition of Twenty Thousand Leagues Under the Sea and a 1950 edition of Leaves of Grass. Can you believe that someone was going to throw these books away in the trash? It’s heartbreaking, to say the least. With that in mind, I remember going dumpster diving as a kid and finding all kinds of books in good condition so I might start doing that again. I hear people do that for a living, so I’m sure I can save these books from sitting in a landfill while saving the environment in the process. I’ll post a blog about what I find dumpster diving if I find something good. If you are inspired to go dumpster diving because of this post, please check your local city laws because dumpster diving is not legal in all areas. If you would like to know more, check out out my library page.